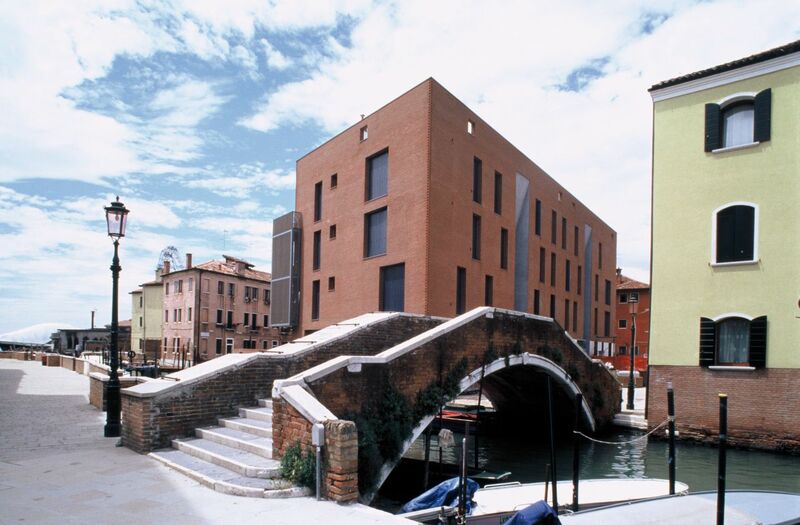 The twin building bodies overlook a common garden bordered by a high brick wall on the canal. 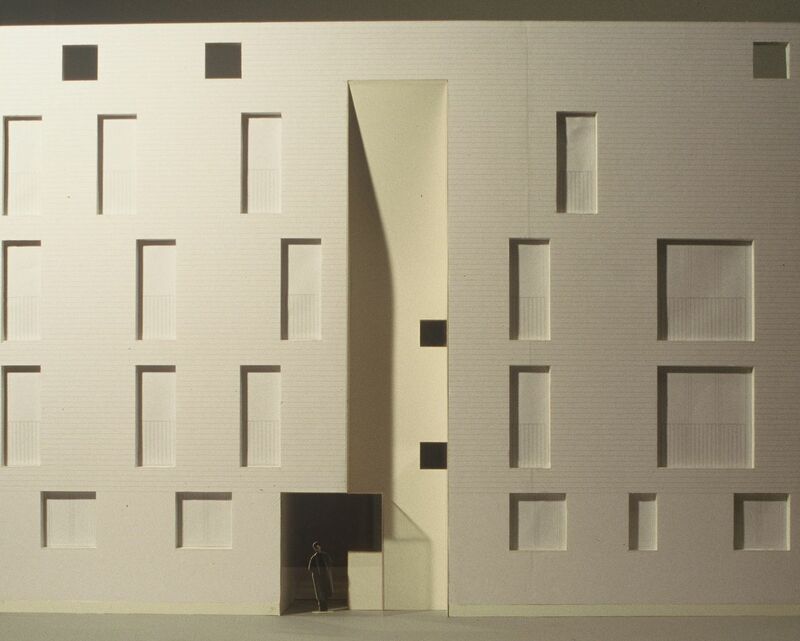 A gap between the two bodies donates to the public Campo a long view toward the garden and the Laguna. 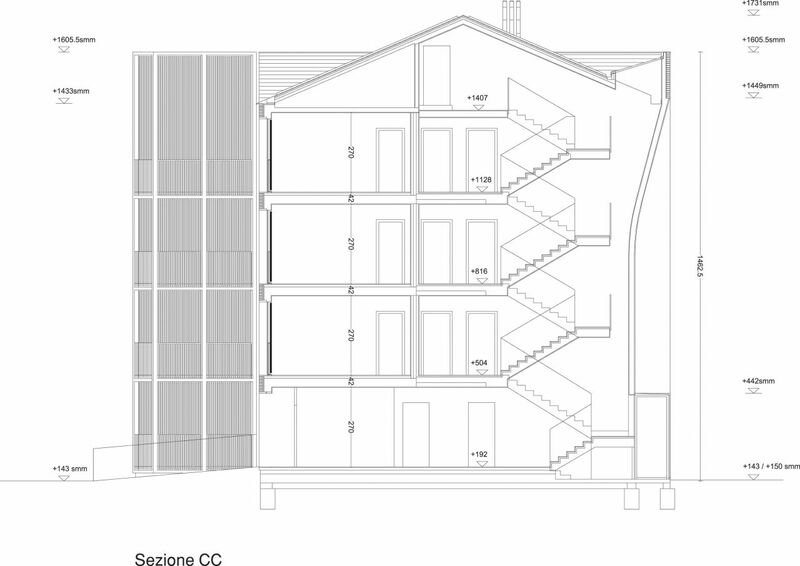 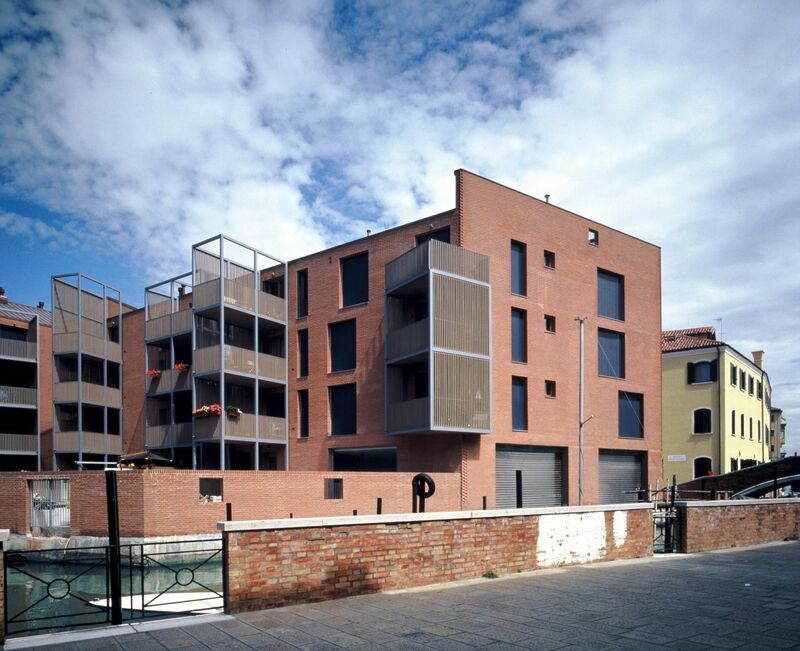 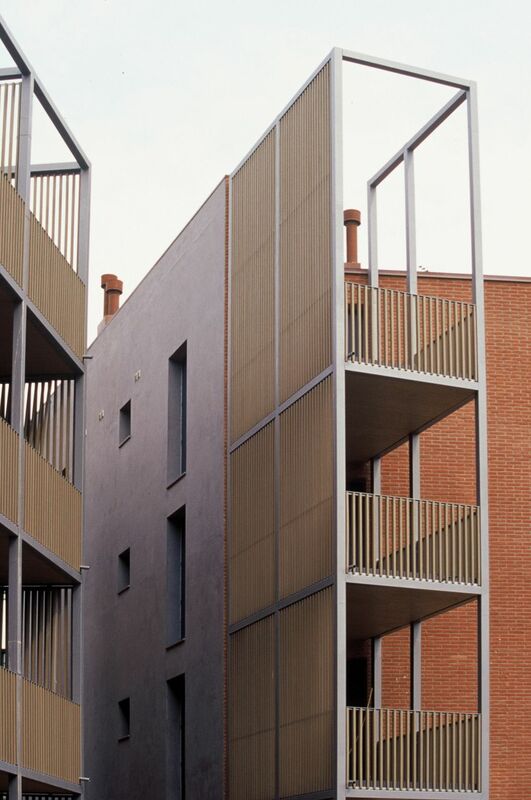 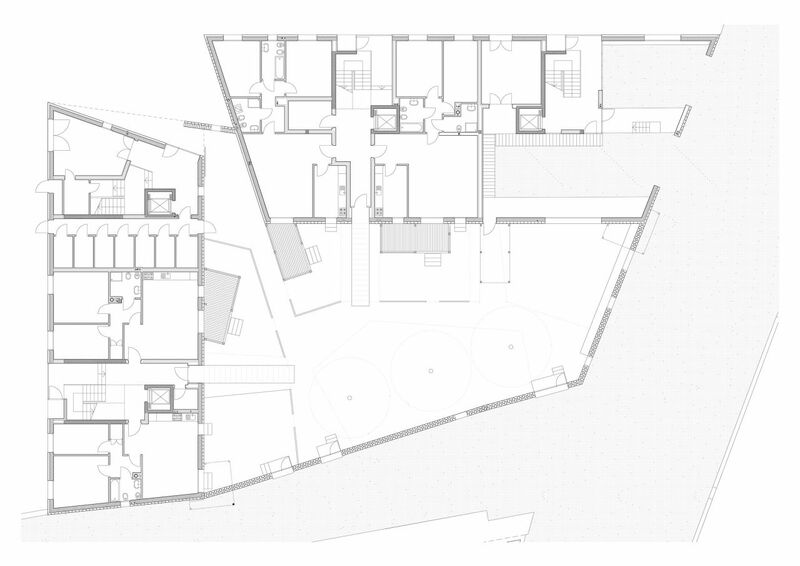 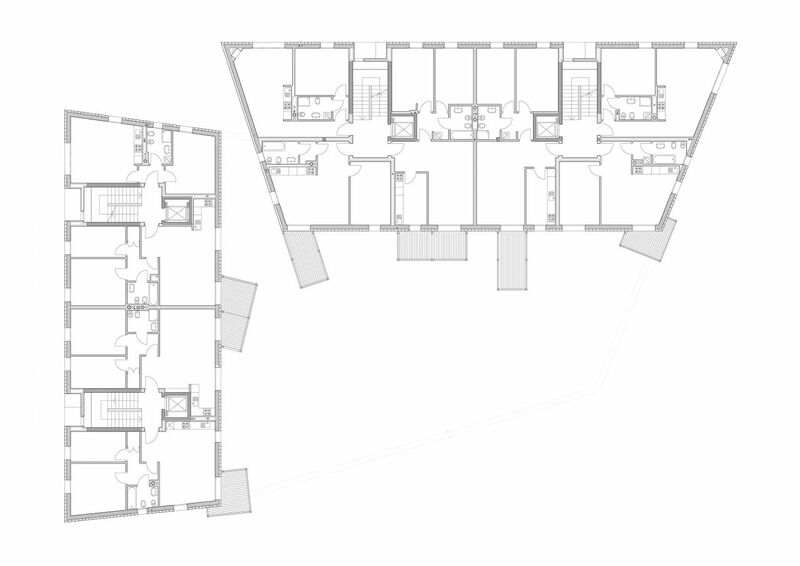 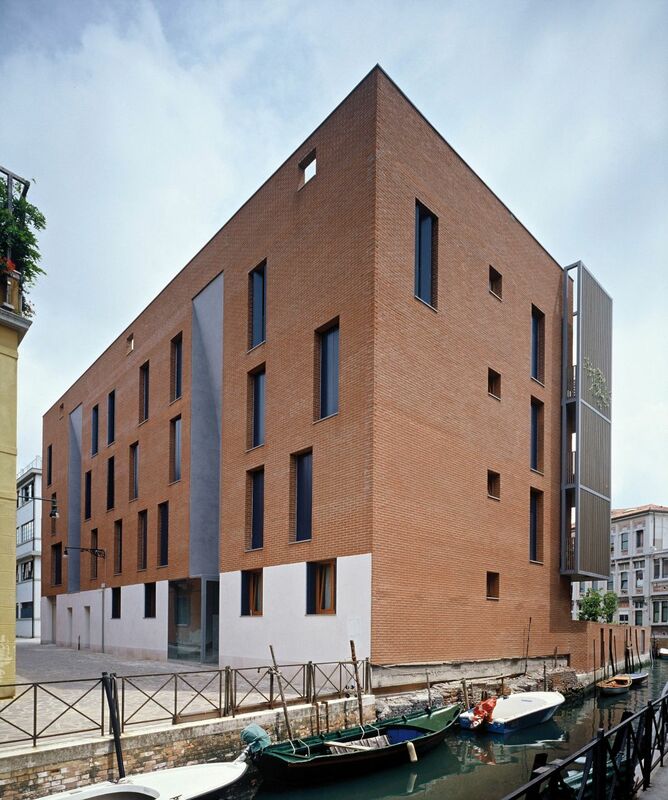 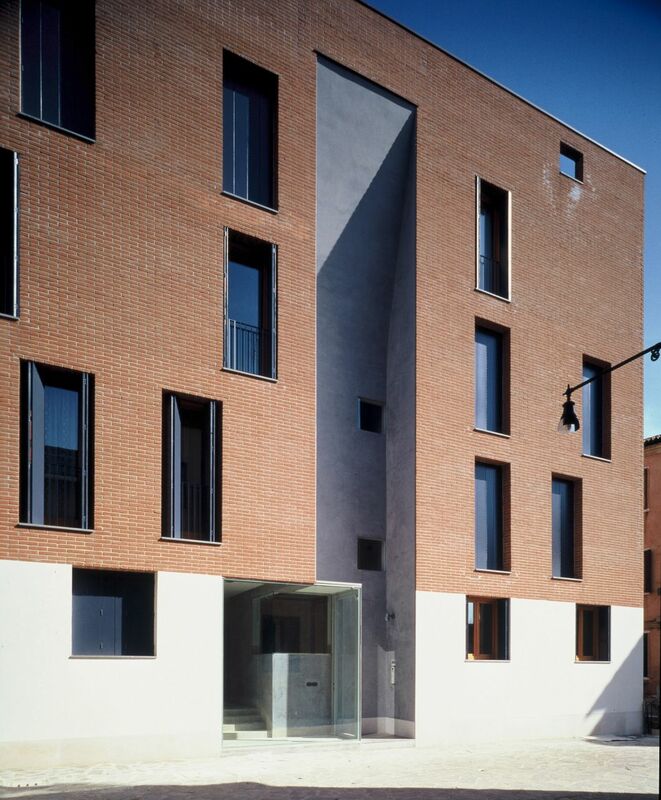 The outer brick fronts are rhythmed by the high notches of the stairs, while toward the garden high steel and wood towers unify the private balconies, recalling the wooden fishermen’s barracks and the high cranes which mark this side of the Giudecca island.